Harry Deane (Colin Firth) is the art adviser for rich business man Lionel Shahbandar (Alan Rickman). He hates Shahbandar with a passion, so he hatched a plan to let him buy a fake Monet, painted by Major Wingate (Tom Courtenay). For that he needs the help of cowgirl P.J. Puznowski (Cameron Diaz). But as soon as they set the plan in motion, things are already going wrong and the entire plan is soon in jeopardy. 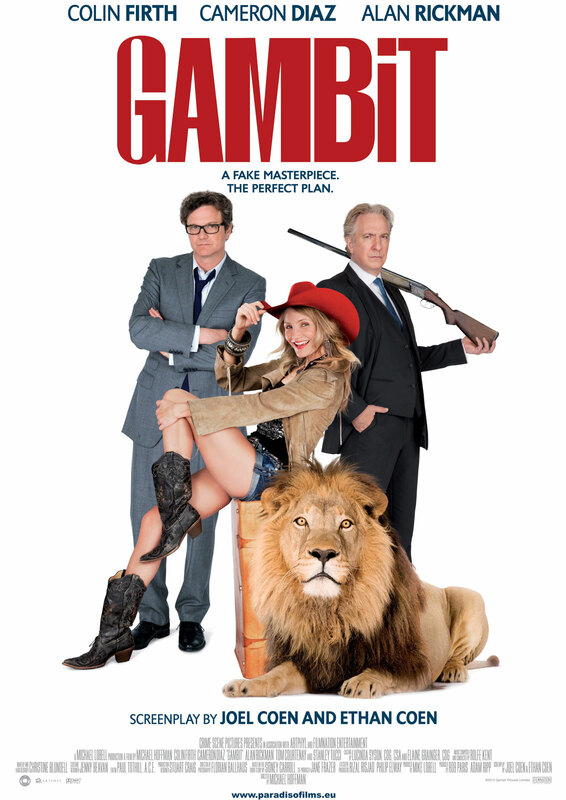 Apparently Gambit got really bad reviews. I don’t get it. It’s a perfectly entertaining film that makes its roots in the 60s felt and has a very nice sense of humor. I enjoyed the hell out of it. 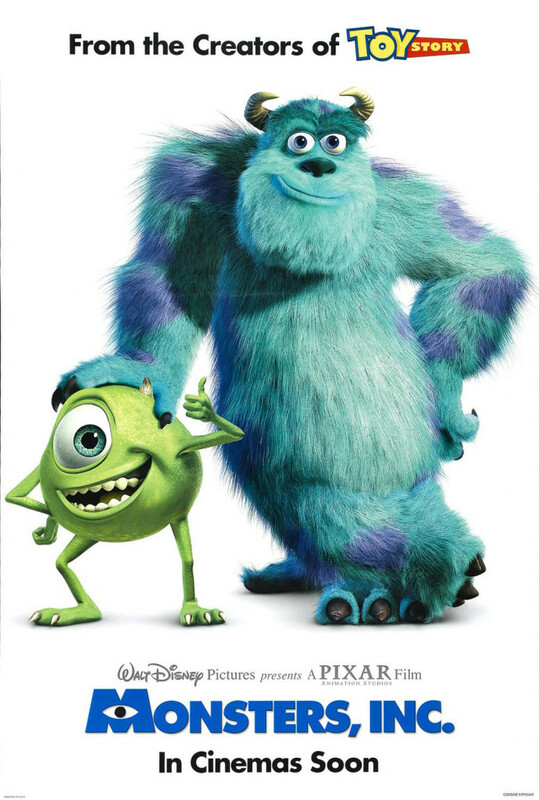 Sully (John Goodman) is the star employee of Monsters, Inc: nobody scares children quite like him. They need the children’s screams as it’s their energy source. But as kids are getting more jaded, it’s increasingly harder to scare them. As the Monster World is heading for an energy crisis, Sully and his best friend Mike (Billy Crystal) have a different problem though: through the workings of their rival Randall (Steve Buscemi), a little girl has managed to come to their world. Boo (Mary Gibbs), as they start calling her, isn’t safe there – monsters are deathly scared of children. But it’s also pretty hard for Sully and Mike to get her back. I don’t know when I last saw Monsters, Inc., but I should watch it more often. It’s sweet. It’s funny. It’s smart. And most of all it’s really entertaining. Writer: Nicolas Winding Refn, Hubert Selby Jr.
Harry’s (John Turturro) wife Claire (Jacqueline Ramel) was shot and killed. Nobody knows why or by whom. Harry spends all his spare time looking at security footage and trying to piece everything together. He is haunted by visions of Claire which are slowly but surely pointing him in a certain direction. So Harry starts investigating even harder and finds a trace that leads him to Kate (Deborah Kara Unger) and the murderer. Fear X is an idiosyncratic movie. It’s beautiful to look at, with a mesmerizing performance by John Turturro but it won’t fit any mold easily. It’s 2022 and the USA is doing great. 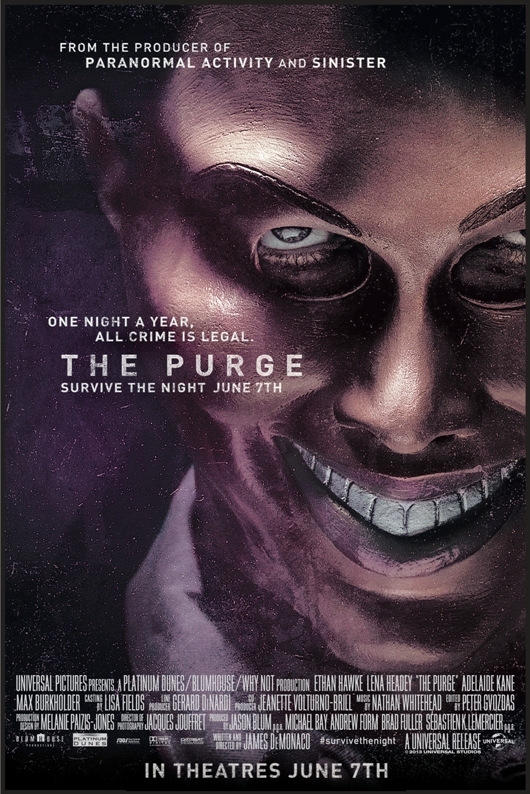 They attribute this to the Purge: one night every year where crimes are legal. The Sandins are supporters of the Purge, James Sandin (Ethan Hawke) makes his money (and a lot of it) by selling security systems and together with his wife Mary (Lena Headey) he pretty much has the perfect suburban family. But this Purge Night things start to go very wrong and the Sandins find themselves besieged in their own house. I didn’t expect The Purge to be great but it was so incredibly uneven that it wasn’t really fun anymore. Luke (Ryan Gosling) is a motorcycle stunt driver. But when he finds out that Romina (Eva Mendes) – with whom he had a fling a year earlier – had his son, he decides to give up his job and stay near them and take care of them. 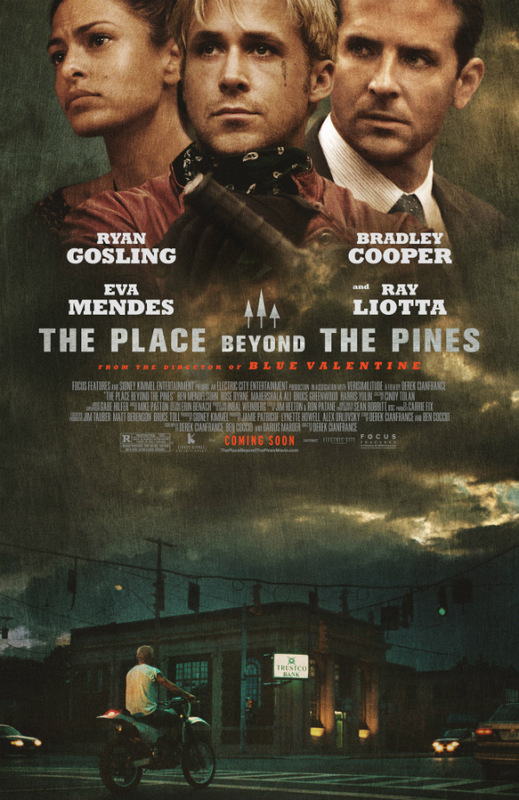 But since he lacks the resources to do so properly, he starts to rob banks which puts him right in the path of Avery (Bradley Cooper), a young and ambitious police man. I loved Blue Valentine and the cast of this movie is pretty damn good, so I expected big things. Unfortunately, I was sorely disappointed. The Place Beyond the Pines is boring, clichéd and way too long. 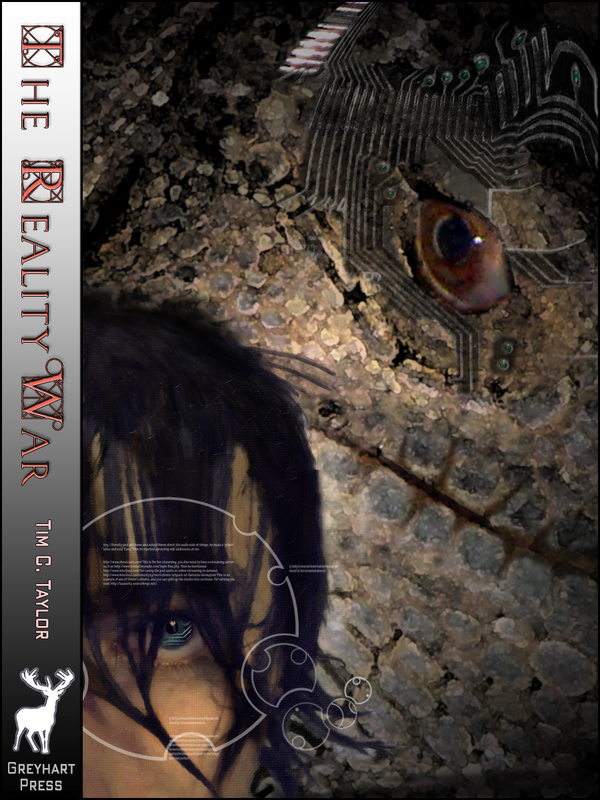 The Slough of Despond is the first book in the Reality War series by Tim C. Taylor. Radlan is a time traveler fom 2992 who has been placed in a small town in England in 1992, a critical time junction. As his cover he works as a financial advisor. When one day Amanda comes into his office, there is an instant connection between them, that is furthered by Radlan accidentally sharing a nanotechnological hormone package with her. As Radlan scrambles to get things and himself under control again, while dreaming about lizard people, he soon finds that he has to make a decision betweent duty and desire. I read about the first 80 pages or so of this book and I debated quitting with myself after the first 30 pages or so. It just really didn’t work for me. Melanie (Saoirse Ronan) is one of the few remaining humans who don’t have a “Soul” yet – a parasitic alien life form who took over earth and the human bodies. But then she’s captured and Wanderer is implanted into her. But somehow Melanie’s spirit survives this. Fueled by worry about her brother Jamie (Chandler Canterbury) and her boyfriend Jared (Max Irons) she starts to fight Wanderer who is trying to mine her memories to find the last humans for the Seeker (Diane Kruger). Much as with Olympus Has Fallen, I went into this film with extremely low expectations and armed with alcohol (this time, we didn’t run out halfway through) and I swear that this is the only way to make this film even slightly bearable. But if you’re drunk enough, it does become extremely entertaining. Ever since their daughter died, Lois (Melissa Leo) and Doug (James Gandolfini) have grown distant. Doug has an affair with waitress Vivian (Eisa Davis) and keeps on losing money playing poker, while Lois hasn’t left the house in a while and practically only gets by with the help of medication. After Vivian suddenly dies, Doug is completely lost. He goes to New Orleans for a conference where he meets 16-year-old runaway, stripper and prostitute Mallory (Kristen Stewart). On a whim he decides to stay and help Mallory out, which actually prompts Lois to finally leave the house. There were a lot of good things about Welcome to the Rileys and some things that didn’t work so well. Generally I was pretty unimpressed though. Mike Banning (Gerard Butler) was President Asher’s (Aaron Eckhart) first bodyguard and friend. Until he wasn’t able to safe the life of the First Lady (Ashley Judd). 18 months later he’s working a desk job even though he wants nothing more than to get back at the president’s side. Then the White House is attacked, the president is being held hostage in his own bunker and Mike finds himself in the middle of things, trying his best to save everyone. 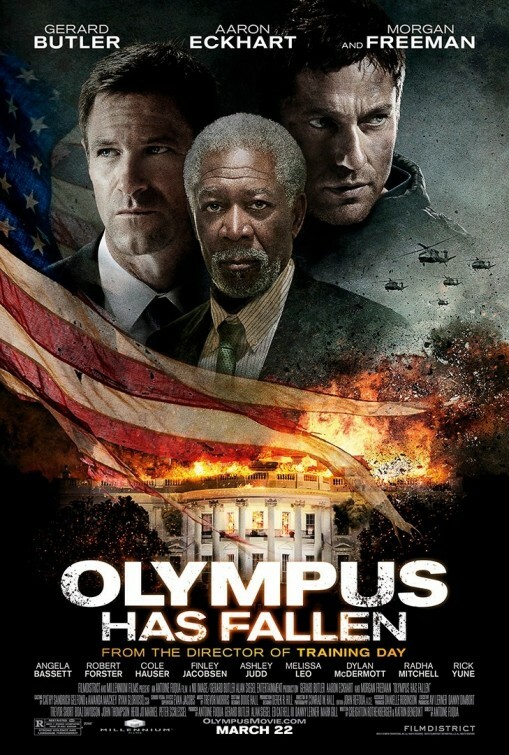 I didn’t expect Olympus Has Fallen to be any good. @kathrintha and I went in with a bottle of alcohol and the distinct suspicion that it was going to be awful. We had no idea how awful though and when we ran out of (ready-made) Mojito half-way through, the movie became pretty much unbearable. 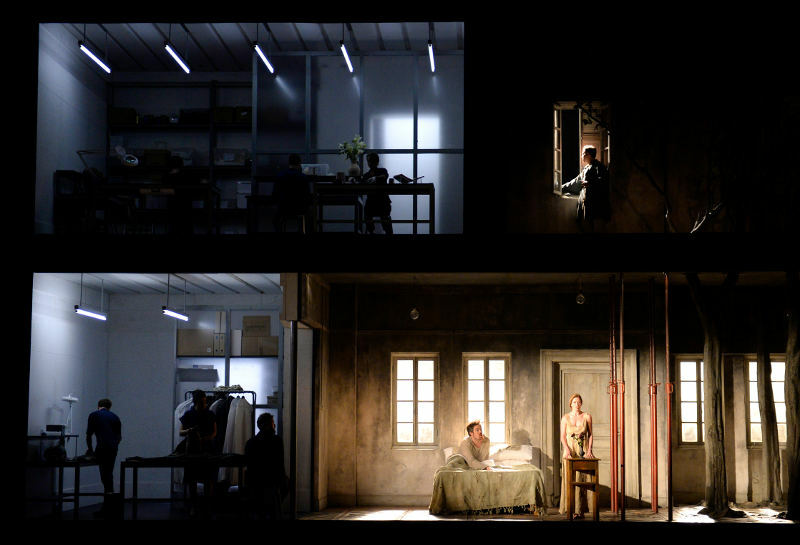 As angels are rummaging on stage and prepare the set, the Protector (Audun Iversen), a wealthy land owner, asks the Boy (Iestyn Davies) into his home to write and illustrate a book about his accomplishments so far and his bright future, all pretty much embodied by his wife Agnès (Barbara Hannigan). The Boy agrees to do so and Agnès jumps at the chance to not only get love and attention as a woman (instead of a trophy) but also to set the record straight with her husband. So she seduces the Boy and influences his work. I keep on trying with modern operas, but I’m not really getting there. With this one, at least, I really liked everything but the music.